Ohio State University (OSU) head football coach Urban Meyer has been placed on paid administrative leave as the university investigates whether the coach was aware of and covered up allegations of domestic violence against former assistant coach Zach Smith. Smith was fired on 23 July after a protection order was served against him filed on behalf of his ex-wife, Courtney Smith. The day after Smith was fired, Meyer denied having any knowledge of a 2015 incident involving the Smiths, but admitted he was aware of a similar incident in 2009, when Smith was his assistant coach at the University of Florida. 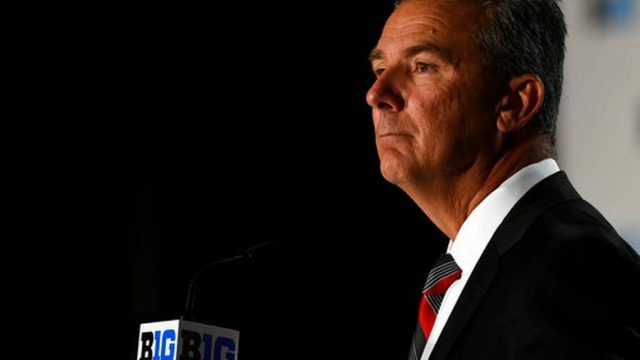 An investigation conducted by veteran college football reporter Brett McMurphy revealed a series of text messages that seemed to indicate Meyer may have been aware of the 2015 incident and other incidents involving Smith. Meyer released a statement in which he said he and OSU athletics director Gene Smith agreed it was best for him to be on leave during the investigation.